Sunrise at Caloundra Headland on Queensland's Sunshine Coast. 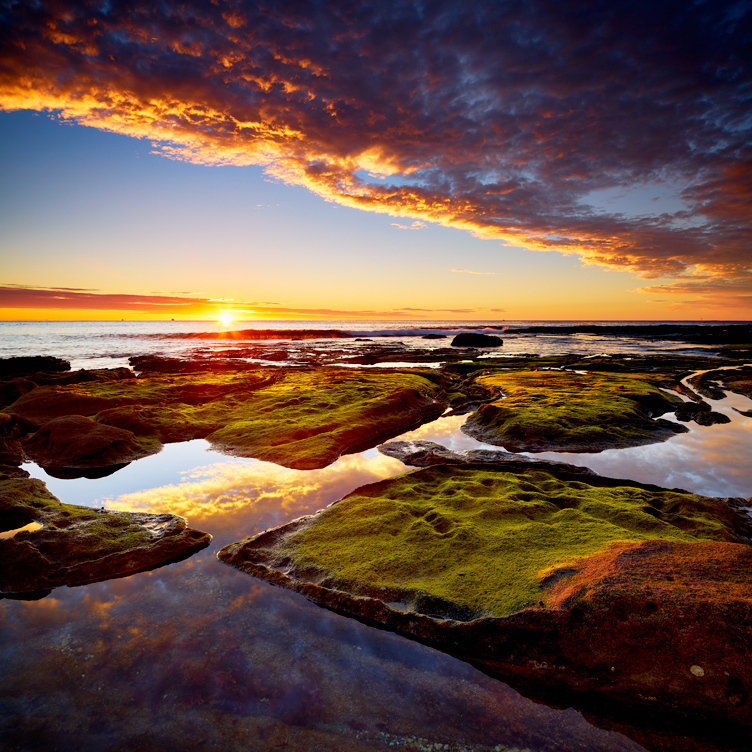 Low tide reveals an extended rocky plain at Caloundra where you can find many different rock formations to photograph, from crystal rock pools & tessellations, to these green continent shaped areas of rock by the water's edge. - Cheers, Russell.